Renew copper cylinders and plumbing to "as new condition"
We offer a friendly, informative, personal service in Galway, w/ partner installers across Ireland. Free surveys, advice, lowest price, running costs and servicing. Ask about Clack + UV + RO for 5 or 10 year all in costs. Clack softeners 10 to 40 yr. wty and Aquaphor RO 5 to 10 yr. wty - no annual service cost. We supply the widest Clack range in Ireland. All NSF Clack water softeners, valves, vessels and brine tanks. We are key Irish Clack suppliers and advisors to many Clack water treatment specialists in Ireland. Clack is the water treatment quality leader - the most advanced, best specified and most reliable. Galway Water promote best practice using INAB certified water testing. 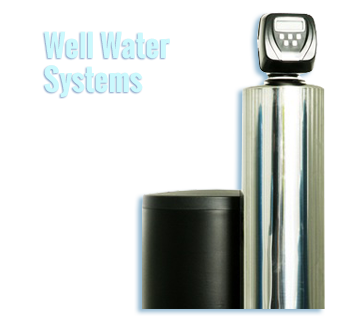 This assists in the ultimate selection and calibration for high performance Clack well water filter systems. Also allowing for lower running costs and highest longevity. Proven ion exchange systems - lowest water use: 2% - 4% typical. We offer a friendly, informative, personal service with free surveys, free advice and lowest costs for equipment, running costs and servicing. Lowest filter costs and 10 to 40 year warranty cover - no annual service costs. Galway Water promote best practice using INAB certified water testing when required. We offer massive discounts especially for mains water dual and multiple sequence well water treatment systems. Galway Water install commercial grade Clack water softeners built for 40 yrs use, with no annual charge to uphold the warranty, the warranty is covered. Imagine buying a budget 8kg (D Energy) washing machine worth €250, priced at €599 installed and described as "gold class" on a "limited 1/2 price sale". The ongoing warranty costs €100 a year via "service", so then you spend up to €2,000 in buying cost, service and water, hoping to get 10 years out of it. Say Siemens made a 30kg (A+++) commericlal washer, no service required, just a check after 10 years, with a 40 year life, costing €1000 in 10 years. And if the Siemens cost a few hundred euros to run and service every 10 years after that, would you buy another "gold class" or "limited 1/2 price" unit ? Clack water softeners offer those similar massive savings with a first class equipment warranty. Another brand that offers massive savings is Aquaphor and their Morion RO drinking water filter system. The Morion Irish 100 system sold with 5 year filter cartridge cover, beats any other in its group for purchase and running costs. Although €799 normally, they are discounted by 40% when bought with Clack. Once established as an Aquaphor owner, you will gain the benefit of a Morion Irish 5 year renewal option of a brand new machine, plus warranty and 5 years extra filter cover for €399 every 5 years. Large discounts are offered for dual and multiple water treatment system packages, whether for mains water, rainwater or other naturally sourced waters like private borehole wells. Also ask about our 5 year service deals. For mains water - Clack water softener and Aquaphor Morion water filter. For well water - Clack water softener, ultraviolet steriliser, Morion water filter. County Council grants funded by the EU are available for private well owners to fund water treatment systems. Your residence must be over 7 years old and you must be a reasonable distance away from mains piped water. Grants provide for €2,031 euros or 75% of equipment costs, of either water treatment systems, pumping equipment, pump house buildings, insulation, electronic frost protection, etc. These grants also repeat every 7 years. Water treatment systems have heavily reduced in cost since 2008 in Ireland, so value for money has peaked, and with the assistance of EU grant funding for private wells, good quality water is now within reach of anyone. Water softening is known as - ion exchange or abbreviated as IX. UV disinfection or Ultraviolet is abbreviated as UV. Reverse Osmosis systems are abbreviated to RO. The most popular and successful methods of combining water treatment systems use IX and RO, or IX, UV and RO sequences for the best results. Aquaphor Morion reverse osmosis have the lowest running costs. They can be run for many years with out a penny paid for service. They have easy change twist lock filter cartridges. Ask about 5 year DIY filter pack deals. Aquaphor are the largest European manufacturer. With 2100 staff. In service for over 20 years. With millions of satisfied customers. Aquaphor have the longest official manufacturer RO warranties. Watergroup ultraviolet sterilisers are for domestic and commercial use. The most popular size is a 6 gpm domestic household ultraviolet steriliser and 12 gpm larger household or light commercial ultraviolet disinfection unit. Watergroup quality UV systems are discounted as part of a water softener package and use highly stable UV ballasts, so the overall costs to buy and run our systems are the most cost effective on the market. Watergroup ultraviolet systems come with a 10 year parts and labour warranty. Service call outs are available, or five year DIY UV lamp service deals can be offered at a quarter of the price of normal callout costs. *Ultraviolet sterilisers need a 5 micron pre-filter as recommended by the HSE and UV manufacturers for all UV systems to work effectively. Clack NSF certified water softeners are known as the most advanced, best specified and most reliable, but also the lowest cost to own and run, a world leading brand that is nearly 70 years old, established in Wisconsin in the US. Because Clack water softeners cost less to run at 1 bag of salt per person per year, and up to 90% less water use than other units, (just €1 a year for electric), Clack truly are the lowest cost all round of all water softeners. Our continual warranty plan on Clack water softeners requires no annual service, only 10 yearly service checks to avail of extended free ongoing parts, labour and callout cover, 7days 365. We also use the world leading German branded Lanxess S1567 ion exchang resin, offering easily 50 years service life. Other badly made water softeners may use cheap resin that needs changing after 5 to 10 years. We locate Clack water softeners in the best surveyed, safest locations possible, offering careful time taken for a first class installation. 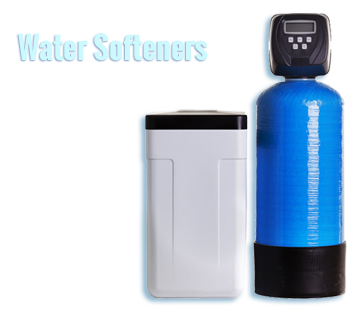 A water softener should target all household hard water - header tank, toilets, showers, baths, sinks, copper cyclinder, washing machine, dishwasher, etc, to rid your household completely of limescale. Also water treatment for iron and manganese. Sulphur and odours. Colour and tannins. Also pH, lead and bacteria. Systems for private wells. Rain water harvesting tanks. For rivers, lakes, springs and mains water. Corrected within EU Directives / EPA limits by water experts. We specialise in accurate water testing. To quantify exactly how water needs to be treated. For the minimum equipment needed. Professional installation. Exact commissioning. Follow up for performance expected. Galway Water locate water softeners in practical locations. Also water filters and reverse osmosis. And ultraviolet and whole house water treatment systems. We offer out door housings. Water softeners will descale hard lime from pipes. Clack water softeners are fine for use with sceptic tanks. Zero salt to household supply. For well water treatment it is best to use ultraviolet. This allows bacterial disinfection. Use a Clack water softener with Aquaphor reverse osmosis. For ultimate filtration. 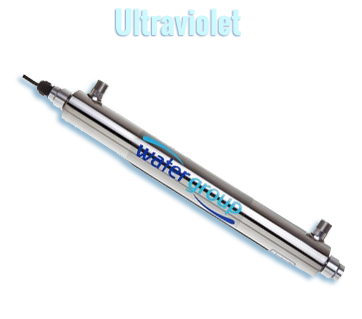 Ultraviolet is optional for mains water but ideal for private wells. 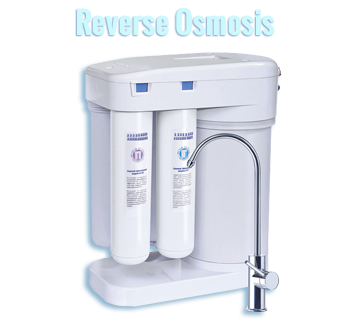 Reverse osmosis filters are best for drinking water. Aquaphor reverse osmosis systems have 5 year warranties. Any pressure, none electric. Lowest water use. Highest water filtration. Longest life and reliability. With added ultrafiltration. For belt and braces drinking water. We follow Water Quality Association ethics of honesty, integrity, fair dealing and professionalism. Galway Water are the highest ranking WQA Master Water Specialists in Europe, also the 1st WQA Certified Installers and the 1st WQA Certified Water Reps in Europe. Galway Water provide the highest quality of service in Ireland. We answer calls during weekdays and weekends. We provide same day callouts for urgent service matters. Also arrange visits at a time that suits you. Open 8am to 8pm including weekends for surveys and service. See PDF brochure for Clack water softener systems. Water filters. Reverse osmosis systems. Ultraviolet disinfection. Private well and general water treatment. Or telephone 1890 222 000 - we will quote a price for water treatment systems over the phone. All quotes are guaranteed to be beaten. And we offer better products. We are the largest direct importers. For top level water NSF products. Best quality US / Euro brands. All brands are NSF and WQA Gold Seal. Best equipped vans in Ireland. Highest quality installations in Ireland. No salesmen. No commissions. No contracts. No deposits requested. Best warranty available. With excellent after sales support service. Lowest system service costs. With a clear transparent pricing policy. One year money back warranty. Also lifetime warranties available. Service 8am to 8pm Monday to Sunday. With 365 same day call outs. Clack NSF certified water softeners are the most advanced, best specified and most reliable, but also the lowest cost to own and run. Clack is the world leading brand that is 70 years old, established in Wisconsin in the US. Clack water softeners cost less to run at just 1 bag of salt per person per year, and up to 90% less water than bad quality mini-timer softeners, (and just €1 a year for electric), Clack truly are the lowest cost all round of all water softeners. Our continual warranty plan on Clack water softeners requires no annual service, just one check per decade for free ongoing parts, labour and on-site callout cover. No system lasts as long or is low cost to run than Clack. Cheaply made, timer or mini water softener brands may even cost 80% - 90% of the price of Clack systems, but will definitely cost 300% to 500% longer term to run, service and replace - every hundred thought saved is a thousand lost. We are asked for best in class, digital LCD, metered mini-cab small house water softeners from €250 DIY, usually by builders and landlords looking for the lowest buying cost. The best mini systems still have much higher running costs (water, salt, service) - and much shorter lives than Clack systems. The equivalent sized Clack systems, might differ a hundred euros than cheaply made, basic mini cabinet softeners, dressed up as "gold systems" or other generic names, may be so called "made in Ireland" but actually made in China. Our water softeners are just that extra bit special ! We use the best German made Lanxess S1567 ion exchange resin, monosphere, high stability, low pressure loss, low water use, chlorine resistant, 2,000 cycle life cation exchange media, offering up to 50 years service life. Badly made water softeners use cheap resin that lasts for 5 to 10 years. It is the water softener resin hidden inside the water softener that actually does the water softening. Without Lanxess, you will not get optimum softening. Lanxess also has well proven properties to majorly reduce iron and manganese, most heavy metals, ammonium, radium and sediments. And with Lanxess MP500 anion resin added, removal of high levels of bog water tannin colour too. With our highly specialised installation service, we locate Clack water softeners in the best surveyed, safest and most discrete locations possible, offering careful time taken for an absolute guaranteed first class installation. If you want an under press water softener, get a Clack high capacity lifetime unit, we spend most of a day to integrate these in the optimum location, to target all household hard water - toilets, showers, baths, sinks, cylinder, washing machine, dishwasher, etc, to rid the household completely of limescale. We don't horse in cheap mini units under sink, or out on your path, in under 1 hour, - these units are quoted as "lower cost", but with no proven brand or factory origin, often happlessly bodged into a press then a fast exit made.